Our staff consists of Clinical Directors, Clinical Managers, and Behavior Therapists committed to serving families and children with Autism and related disorders through providing exceptional, individualized behavioral and therapeutic support services. Our team of Board Certified Behavior Analysts have a Doctoral (BCBA-D), Master’s Degree (BCBA), or a Ph.D. in Behavior Analysis, Psychology, or Education. To become board certified, these individuals undergo advanced training in post graduate school, extensive fieldwork supervision, and pass a comprehensive exam demonstrating their competence and expertise. In addition to our BCBAs, we employ a team of clinicians who are licensed by the Board of Behavioral Sciences (LMFT) and have undergone years of education and/or experience in the field of Applied Behavior Analysis (ABA), prior to taking their exam for licensure. As a result of their experience, our team of BCBAs and LMFTs are well qualified to design, implement, and evaluate a wide range of ABA programs. Our team of Clinical Managers is composed of individuals who have received their Master’s or Bachelor’s Degree in Behavior Analysis, Psychology, Sociology, Education, or related field. 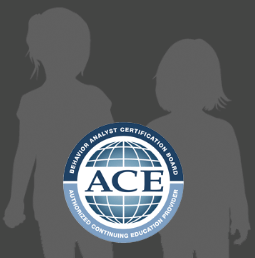 They have several years of experience working 1:1 with clients, in addition to developing and providing programming in Applied Behavior Analysis (ABA). Our Clinical Managers work directly under the supervision of a Clinical Director, and many are working towards becoming board certified or licensed. Our behavior therapists work closely with our Board Certified Behavior Analysts (BCBAs) to implement 1:1 interventions using Applied Behavior Analysis (ABA) techniques. These individuals have received their Bachelor’s degree, or are currently pursuing it, in Behavioral Science, Psychology, Sociology, Education, or related field. In addition to their education, our behavior therapists receive on-site training in topics including ABA, behavior reduction, skill acquisition, data collection, and ethics and confidentiality. CLASS also enrolls our therapists in Registered Behavior Technician (RBT) training. Completing this training is the first step in obtaining the RBT Credential awarded by the Behavior Analyst Certification Board (BACB); the same board who certifies our BCBAs.